Promoted side RB Leipzig are still unbeaten after six matches. Two promoted sides with an impressive start, youngster Joshua Kimmich is on target and Vedad Ibisevic breaks a record. Here are all the statistics you need to know about Matchday 6. 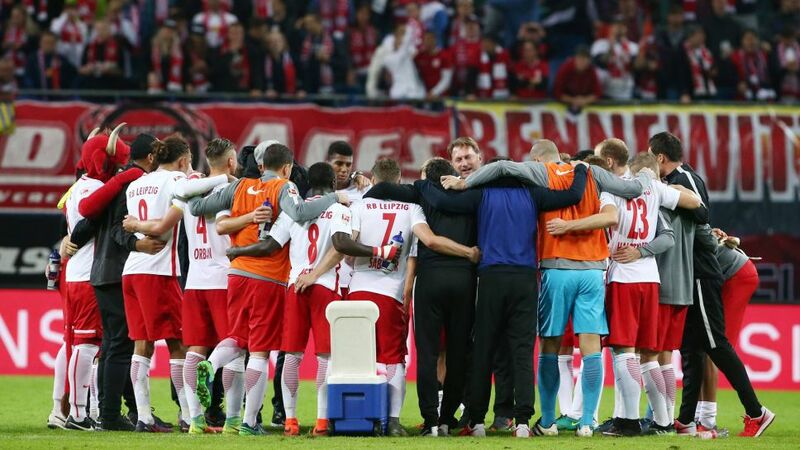 RB Leipzig are the first promoted side to be unbeaten after the first six match days. Three penalties were awarded on Matchday 6 (all scored), the most so far this season. 1. FC Köln are undefeated in 11 Bundesliga games, the club's longest unbeaten streak in 27 years. Only during the 1963/64 and 1987/88 seasons were the men from Köln undefeated after the first six match days. Under coach Julian Nagelsmann, TSG 1899 Hoffenheim are also six matches undefeated; in the club's history there has been only two occasions when Hoffenheim have gone unbeaten for longer. SV Darmstadt 98 are unbeaten in six against SV Werder Bremen, something they have been unable to do against any other club. SC Freiburg celebrated their third home win of the season and ninth dating back to last season. Vedad Ibisevic scored his 96th and 97th goals and is now the highest-scoring Bosnian in Bundesliga history ahead of Sergej Barbarez. Dong-Won Ji ended his 49-match goalless run, scoring for the first time since January 2014. No other player in the Bundesliga has missed as many shots on goal as Vincenzo Grifo. He was finally successful with attempt number 20 in Freiburg's 1-0 win over Eintracht Frankfurt. Since the beginning of September, Joshua Kimmich has scored more competitive goals (five for Bayern) then Robert Lewandowski (three).